Brighten someone's day with these colorful sweet treats! 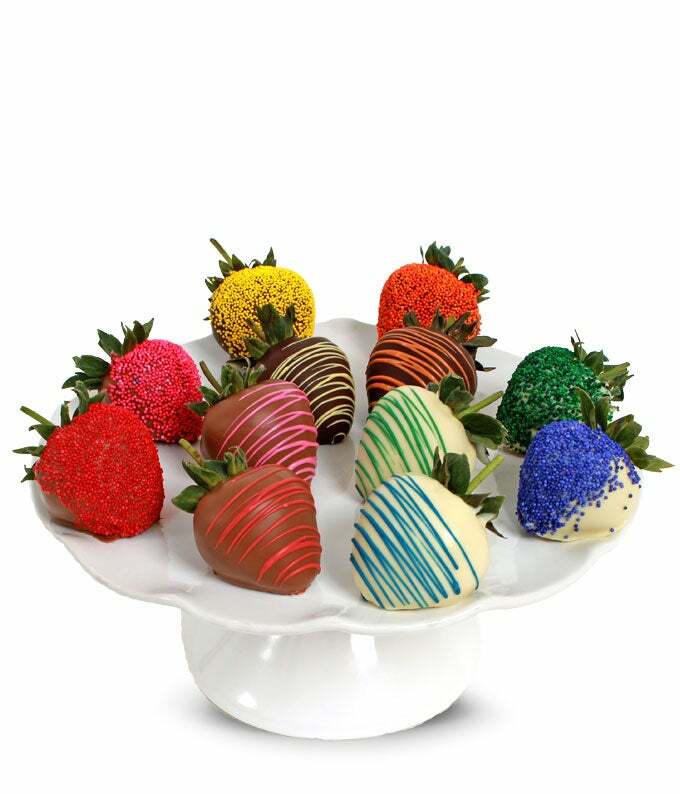 Who doesn't love chocolate covered strawberries -- especially when they look and taste this good? These beauties are farm fresh and hand dipped in rich, creamy Belgian chocolate. Send them now!